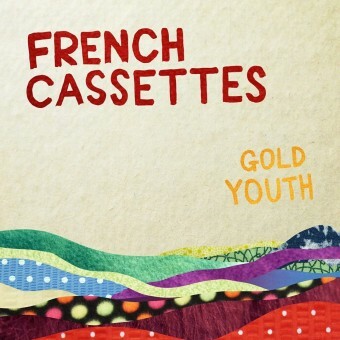 It’s kinda tough to pin these guys down, but that may be the best thing about French Cassettes and their gleefully fun debut, Gold Youth. It’s somewhat of a miracle that this band even exists, given that Ripon, California isn’t known for its vibrant music scene. But singer Scott Huerta, keyboardist/guitarist Mackenzie Bunch, bassist Thomas Huerta and drummer Ben Isganitis have fully escaped the confines of their sleepy Central Valley town to produce a sharply varied set of rhythmically-focused and harmony-laden melodies. The quartet came of age in the crescendo of the post-punk revival, and tracks like “Too Young” are a Strokes-like dead giveaway. Factor in the blazing-then-subdued synths of “Boys” and “Teeth For Talking” and its throwback chord structure, however, and Gold Youth begins to unveil its secret weapon: channeling the unexpected, from Grizzly Bear to the Jackson 5. It helps that the mixing on this album is spectacular with warm guitars and basslines that twist the punchy drums into a frenzy. Those dynamics are half the battle with any debut, but French Cassettes nail the other half — great songwriting — for one tight record.